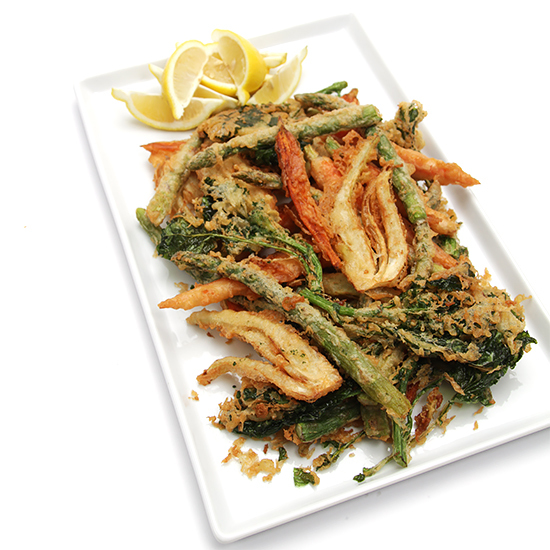 In this festive fritto misto, vibrant spring veggies get to be the star of the show! Fat asparagus, sweet baby carrots, tender young broccoli rabe and crunchy fennel are coated with a super-light beer batter, then pan-fried in olive oil and served with a squeeze of fresh lemon juice. When you walk in with these piping hot fritters piled high on a tray, your guests will instantly salivate… and waste no time digging in! And the bonus for the chef? This fritto misto is easy to prepare and cooks in minutes – a win-win all around! 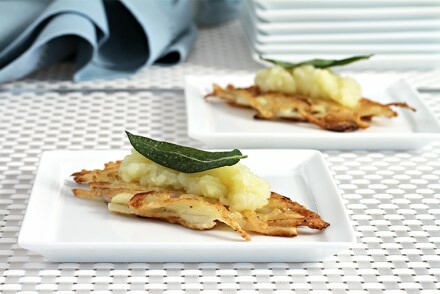 An Assyrtiko from Santorini is perfect for this delectable hors d’oeuvre. These bone-dry, savory white wines are filled with a wonderful minerality, reminiscent of a sea breeze, and they boast lemony notes that are perfect with the fresh squeeze of lemon juice. Plus the crispness of the wines cuts through the richness of the fritters. Alternatively, serve a zesty, crisp Sauvignon Blanc from Sancerre or Quincy in the Loire Valley. Step 1: Snap the ends off the asparagus. Peel the carrots and leave them whole (or, if using medium carrots, peel them and slice them in half lengthwise). Trim 1″ off the bottom stem of the broccoli rabe. Cut the fennel bulb in 1/2″ wedges through the center core, so that the slices remain attached. Pat the vegetables dry and place them on a tray. 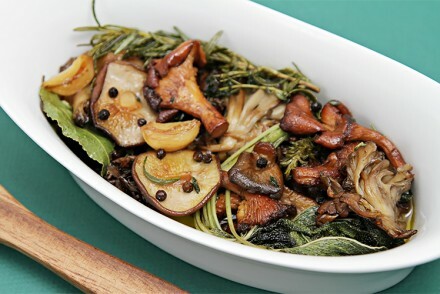 Cook’s note: The vegetables can be prepared up to 4 hours ahead, covered and refrigerated until ready to use. Step 2: For the batter – Place the flour, salt and pepper in a large bowl. Whisk until well blended. Add the beer and whisk until the mixture is smooth. Let stand for 5 minutes and then add the egg. Whisk again until well incorporated. Step 3: Heat a large heavy-bottomed skillet over high heat. Add enough oil to come 1/4″ up the sides of the pan. 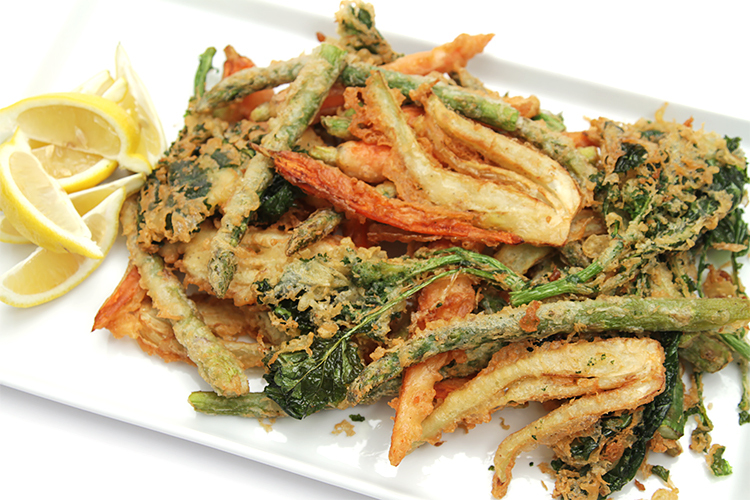 When the oil is hot, add a handful of the spring veggies to the batter and toss with your fingers until well coated. Let extra batter drip into the bowl (the vegetables should only be very lightly battered) and then add the vegetables one by one to the pan. Pan-fry for 2 to 3 minutes until deep-golden. Flip the vegetables over and continue to pan-fry for 1 to 2 minutes until deep-golden. Remove from pan and drain on paper towels. Repeat until all the veggies have been pan-fried, reducing the heat after the first batch so the oil doesn’t burn. 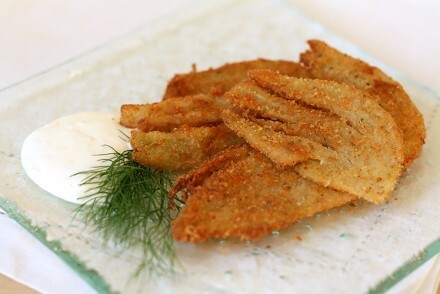 Sprinkle the fritters with sea salt and arrange them on a large serving platter, along with the lemon slices. Squeeze the lemon over the fritters just before eating them. Cook’s note: Serve the fritters piping hot; they’ll become soggy as they cool. 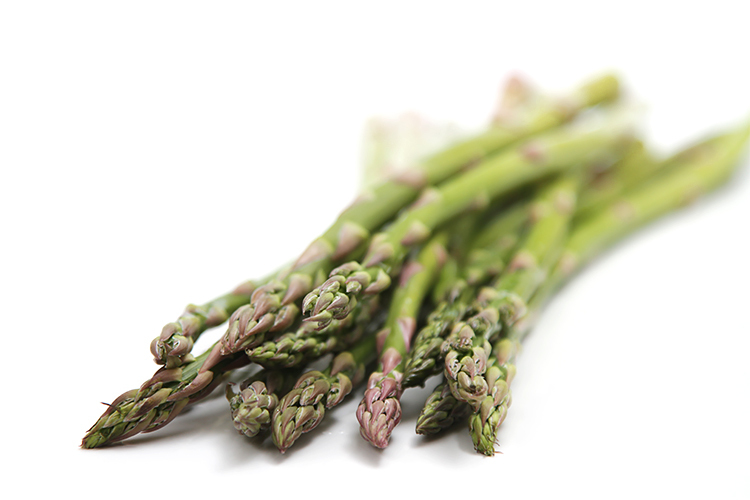 I tried many different kinds of spring vegetables for this recipe. And although I picked my favorites for the final recipe, here are a few you might consider adding to the mix: baby zucchini (about 3″ long – sliced in half lengthwise), scallions (left whole) and sugar snap peas. Thanks for the recipe and great choice of vegetables.I always make your recipe for zucchini fritters,and the beer makes them so light and tasty.I will try this recipe soon,video so helpful. Thank you for your comment, Lily! I hope your fritto misto turned out wonderful! I’m definitely salivating! What a great way to serve a variety of vegetables and satisfy so many different tastes! Definitely need to give this a try! Thanks Vivianne! This is so much like Japanese veggie tempura. Your fritto misto look so crunchy and inviting.